Our search engine allows you to search for applications by type, industry, and keyword. Download a PDF with a full application description, method parameters, and example curves and results. In many cases, a COP file for direct import into the LabX titration software is available. 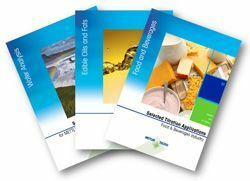 Each brochure is dedicated to a segment or industry with collected applications, general information regarding analysis and suggested instruments and sensors.